Our latest group of beginners had more than just their opposition to contend with in this year’s Cambridge Winter League, but that didn’t stop some of them walking away victorious. Our women’s first crew of Sarah Stewart, Becki Dixon, Nat Turland and Sarah Leatham performed brilliantly to win their novice coxed quad category. They notched up times of 14mins 22secs, 13mins 56secs and 13mins 10secs in January, February and March. The way they improved and progressed each month was obvious for all to see, despite brutal weather in January and March that resulted in snow, wind and sub-zero temperatures. 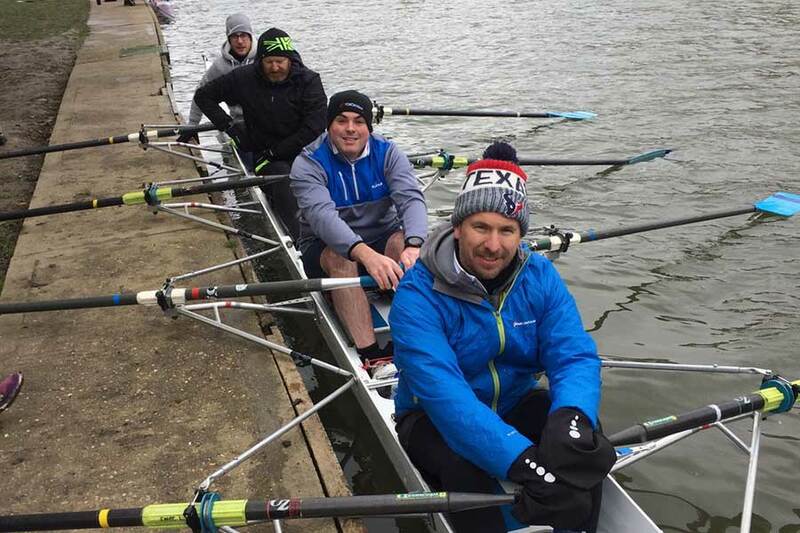 But even the return of the ‘beast from the east’ couldn’t stop them claiming a well-deserved rowing win at their first attempt. Our women’s second crew of Gaelle Jupe, Hannah Irvine, Sarah Roche and Celia Meacham performed almost as well to claim fourth place in the same coxed quad category. They showed great determination in the face of difficult conditions to record times of 15mins 54secs, 14mins 23secs and 14mins 37secs. Their March performance was particularly impressive, as they gained 23 seconds on the more experienced crew that finished in third place. Our men’s coxed quad – Sean Hughes, Bill Rider, Pip Wright and Mathieu Decoene – gave it everything and acquitted themselves well to finish in 13mins 58secs, 14mins 24secs and 13mins 44secs. Their February time was affected by an incident near the halfway point, when they entered ‘bumps’ mode with a single sculler, and were forced to stop while oars and boats were untangled from each other. 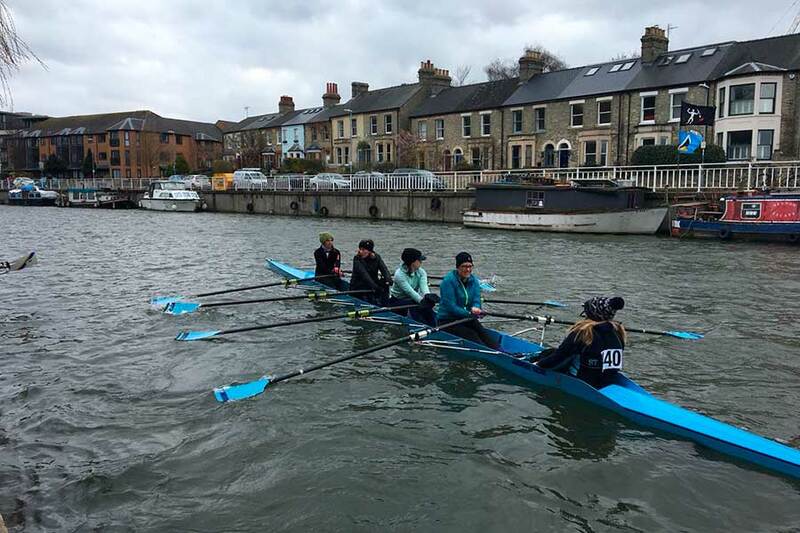 Our men also had to endure a near-hypothermic 50-minute wait at the start in March, caused by a hen party cruising down the Cam oblivious to the competition. 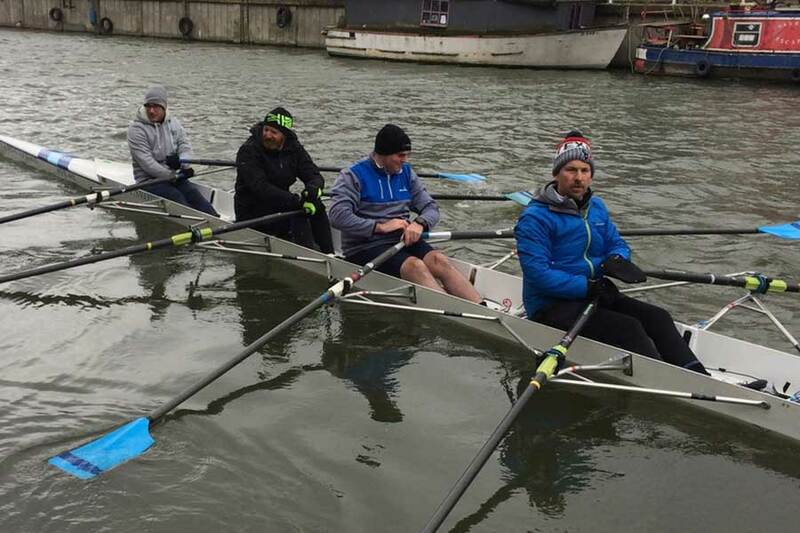 By the time the course was clear, the freezing conditions had taken their toll and trying to row hard off the start with shivering limbs was all but impossible. 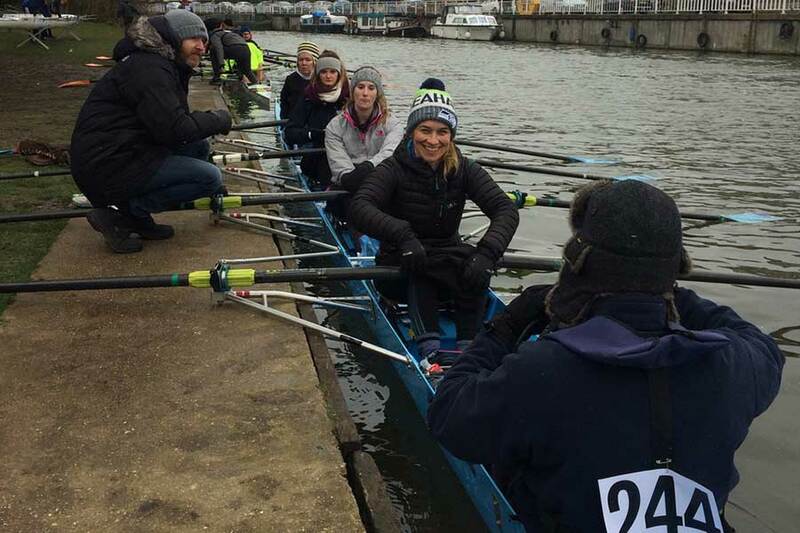 Well done to everyone who took part and huge thanks to their coxes – Ali Young, Dominie Clarke, Rachel Tackley and club chairman Trevor Rickwood – and of course to their ever-present coach, Alistair Mackie. 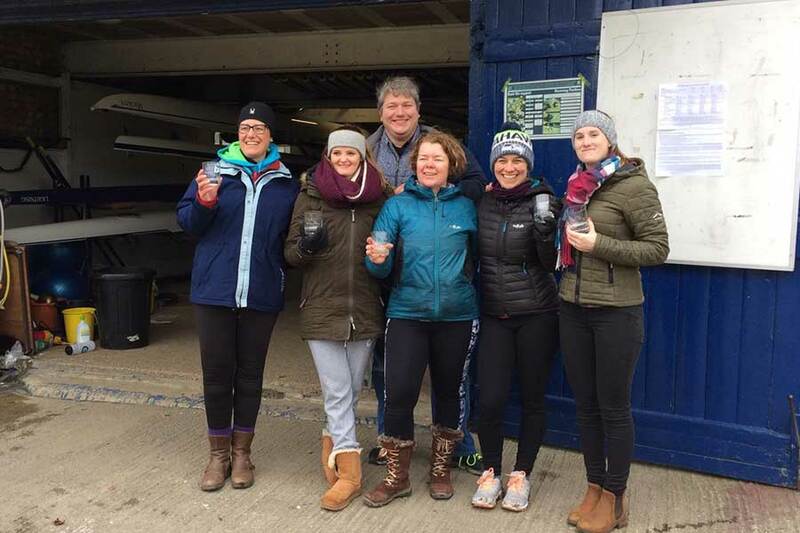 This year’s winter league was certainly eventful, but everyone did St Neots Rowing Club proud and thoroughly enjoyed themselves,” said Trevor after the March leg. “Alistair’s latest crop of ‘newbies’ is all set to strengthen our senior squads, and I’m sure their collective enthusiasm – not to mention their baking skills, which I was lucky enough to sample – will be a real boon for the club.